Article: RECAP Of Legendary DJs Martin Garrix And Julian Jordan’s Awe-Inspiring EDC Las Vegas Performance! EDC – one of the most recognized, energetic, internationally acclaimed EDM festivals to name. Legendary DJs Martin Garrix and Julian Jordan have called the stages at EDC their second homes and truly gave unforgettable, awe-inspiring, mesmerizing and out of this world performances as they had their epic back to back performances at this year’s EDC Las Vegas. With the world’s most respected DJs together at one music festival, EDC Las Vegas would not have been complete if the remarkable and extraordinary Martin Garrix and Julian Jordan were not there. To say Martin Garrix and Julian Jordan’s EDC Las Vegas performances were breathtaking and invigorating are truly understatements. These two gifted, accomplished and unmatched DJs left everyone speechless with their terrific performances and have once again, continued to make EDM history. Martin Garrix and Julian Jordan performed back to back at the 7×7 UP stage. Martin Garrix wrote along with a photo he shared through his Twitter account, “About to go on the #7x7UP stage with my brother @JulianJordan #EDCLV“. 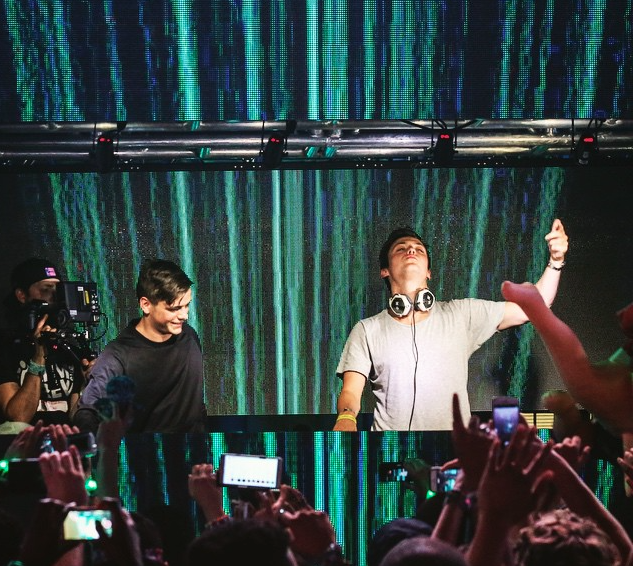 Julian Jordan wrote along with a photo he shared through his Twitter account, “This was legendary #EDCLV b2b with @MartinGarrix #7x7UP“. Two DJs whose music and incredible performances manage to change lives – what a cherished gift for all EDC attendees who were able to see memorable and stupendous performances from two of the most talented and respected DJs: Martin Garrix and Julian Jordan! A big congratulations to Martin Garrix and Julian Jordan on their excellent EDC Las Vegas performances! Check out more photos below from Martin Garrix and Julian Jordan’s back to back EDC Las Vegas performances! Previous Article: “Wake Up” And Enjoy Jay Hardway’s Phenomenal New Track! Take A Listen Here!